2 Bedroom Maisonette For Sale in Woking for Guide Price £299,999. 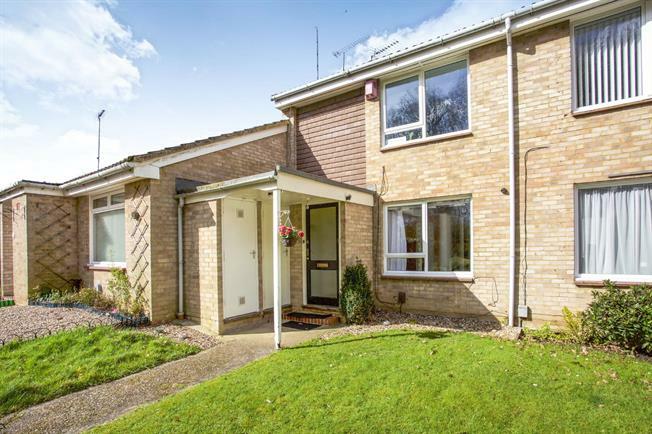 Nestled off the road among an attractive communal grassed area, this stunningly reworked two bedroom home has been completely remodelled throughout to a very high standard. Enter in through a storm porch into a long hall entrance and discover an 18' master bedroom to the front of the house enjoying views over the green. Pass by a large storage cupboard and a crisp and contemporary family bathroom, and emerge into an open plan living area with high quality flooring and on to an extended striking kitchen/breakfast room where no expense has been spared on the finish. A second bedroom leads off the hall which will accommodate a double bed, and the low maintenance rear garden has been paved and opens out on to Kenton Way and doubles up as a second entrance. Has to be seen to be fully appreciated!